Lahti is home to active resident panels, through which residents can develop their environment and services. On the City’s technical front, it has a resident panel to monitor and evaluate the quality of contractors’ work. Lahti Design Center is the home base for Lahen D – a product development panel of residents who want to get involved in developing local products, public services and the urban environment. Let’s make a better Lahti with Porukka (crowd). Porukka is a public participation mobile app, which is being actively used to increase public participation. 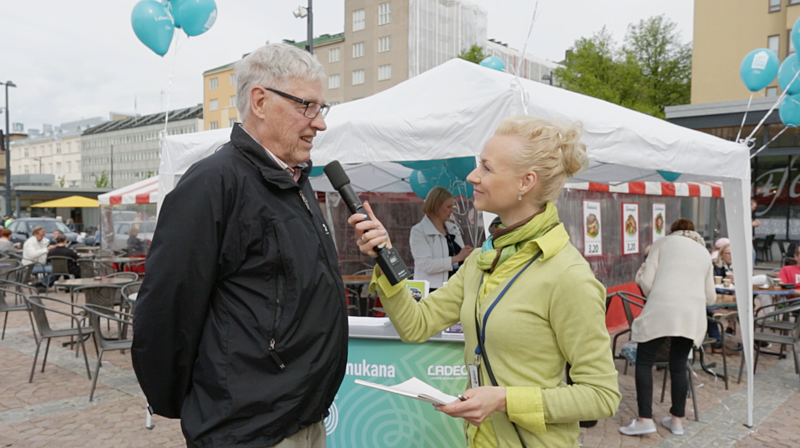 With the Porukka app, Lahti wants to inspire its residents to think about what type of city they want to live in. Porukka has been actively used for the strategy, master plan and environmental issues, amongst others. The application has more than 2,400 users, who have submitted in excess of 173,000 comments to date. The app was also used to prepare Lahti’s application for the 2019 EGCA. LahtiMob provides information about the City’s services, events and places of interest in different languages. Users can, for instance, use the app to check the distance and route to a selected place.